One of my most feared questions from end users is “how can I interact with an X11 GUI application on our remote Linux system if I have no access to the physical console, X11 isn’t installed, and there is no VNC access?” After hearing this many times at one site, I wrote a script to automate the server side process, but even that does not address the whole story. I’m writing this post as a quick reference when I field this question in the future, and I hope it helps you, too. The problem is that most system administrators do not install X11, Xorg, or other GUI interfaces on Linux and Unix systems as this introduces more packages to manage and patch, more security bugs to fix/mitigate, and a larger install footprint (more used space). That last point may seem moot today, but with many environments deploying hundreds of virtual machines, 200-400MB of extra space per VM can really add up quickly (see my latest presentation on Open Source Data Deduplication for more ideas on saving space in these environments). If you consider the overhead of installing a modern desktop/windowing system such as Gnome or KDE, it could easily more than double the data size footprint of a Linux server. OK, many environments don’t install the Linux/Unix GUI bits (also known as X11 or Xorg server), so who cares, I can just install everything via the command line, right? Well, yes, for the most part you can just install applications via the command line and forget this whole issue. However, there are a few vendor applications, notably including Oracle Database and Application Server products, that are difficult if not impossible to install without a GUI. The modern solution to the problem stated above is to tunnel X11 traffic over ssh (securely), and display it on your workstation, whether it be Windows, Mac OS X, or Linux. For sake of helping the most folks, we’ll focus on Windows workstations here, but Linux and Mac OS X should work with only the server side changes we write here (just connect with the command line ssh -Y your_username@your_servername.com). In certain circumstances, it may be advantageous to setup a VNC server to accomplish the same thing, but that requires more of X11 and an windowing environment be configured on the server side, and we’d like to avoid as many server side changes as possible, as many users won’t have access to make these changes themselves. If that line is preceded by a comment (#) or is set to no, update the file to match the above, and restart your ssh server daemon (be careful here — if you made an error you may lock yourself out of the server). free choices for Windows. Simply download and follow the install instructions for these packages, Xming is by far easier to setup for beginners. After the install is complete, and you’ve rebooted your workstation/desktop (if requested), start the X11 server application from the start menu. That will tell SSH to forward all X11 requests to your local desktop. For Windows, the most popular client is PuTTY. To achieve the same result in PuTTY, load the profile of the server you wish to connect to, or simply fill out the connection details. Next expand the Connection and SSH options on the left hand side. Under SSH and then X11, ensure that Enable X11 Forwarding is checked. PuTTY Configuration Window Show X11 Forwarding Enabled. Finally, click the Open button to connect to the remote server. Wait just a few seconds depending on your internet/network connection speed, and you should see the following. If you see something similar, congratulations! Remote X11 connections are working! 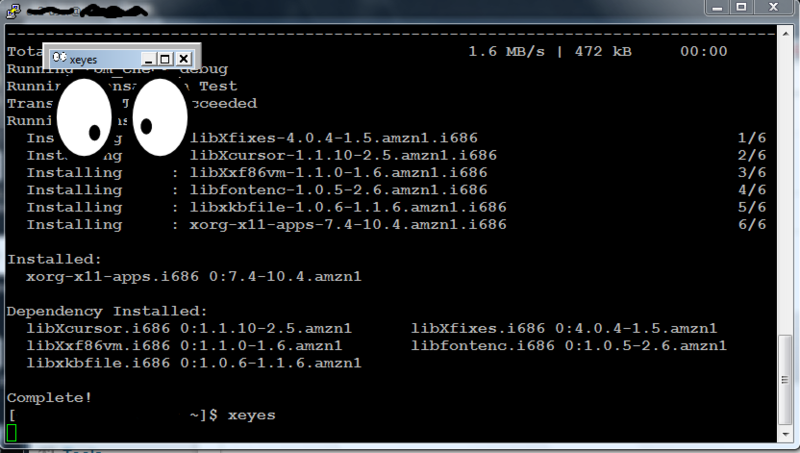 X11 forwarding is working, great! These days, however, users are often not allowed to log in as root, which is great for security, but adds yet another step to our process. In step 5 we ran xterm as ourselves, which validates our setup is proper. 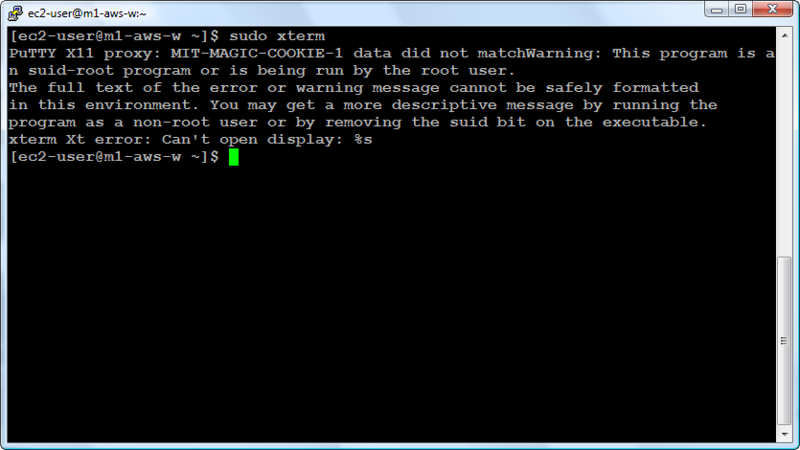 Try running the same command as another user, though, via sudo and you’ll likely see an error like the following. The problem here is that a .Xauthority file is created automatically at log in time for our user, allowing our user access to our local X11 server (on our desktop). However, when root tries to access this connection it is denied without the proper permissions. Try running xterm again as root, it should work. There you have it, now that you can login remotely and still access a GUI as any user, you can move on to installing your GUI centric application such as Oracle. When installing or configuring an application, like those from Oracle, keep in mind that a break in your internet connection or other problems with your link may cause the remote program to be closed! So while it may be tempting to let an X11 process run overnight, you may have better results sticking around until the process completes. If your installer/application stops to ask you a question and your link does fail, you will likely lose all the work completed to that point and have to start all over again. Save early, save often, as they say. If this was helpful, please drop us a line at info at redwireservices.com, @RedWireServices on Twitter, or using the contact page. If you have additional tips to add, please add a comment below and I will update the post accordingly to help as many as possible. Finally, if you or your company are in need of IT disaster recovery planning, backup system assistance, storage, or archival help, give us a ring at (206) 829-8621. This entry was posted in Tech Tips and tagged CentOS, Cygwin-X, HP-UX, Linux, Oracle, PuTTY, RDP, Red Hat, Remote, remote desktop, RHEL, Solaris, ssh, tightvnc, Ubuntu, Unix, vnc, vncviewer, X11, Xming. Bookmark the permalink. Thank you so much! I’ve tried many tutorials before finding yours, this is the first one to really explain everything! I need this to run the oracle installers, just as you mentioned above! Thank you it works for me !! I can now Xterm securely from my Mac OSX box into a CENTOS Linux server which just runs the minimum installation. The Xming fonts are a separate package that you will most likely need on Windows – I got errors without it. Also, without the appropriate X11R6-contrib rpm installed on the server, you might not find xeyes to test with. Thank you for this. thanks for the detailed explanation. This is just what I was hoping to find, everything explained in layman terms. Great job !!!! I’m sure that I’m just dumb, but I was hoping to actually see the remote GUI as though I were at the computer itself after completing this. 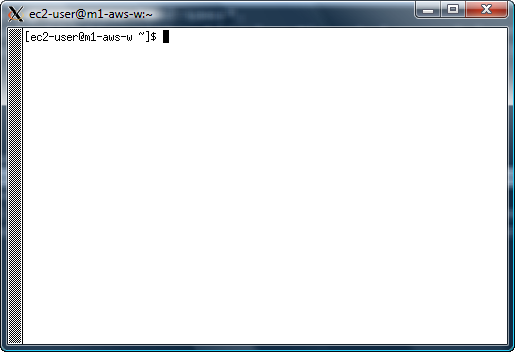 This just looks like a new CLI with black text on a white background instead of white text on a black background. Todd – you can open any gui application with this method. xterm & xeyes are just examples. If the remote system has firefox, etc., you can open that as well. You could probably even open Gnome or KDE this way, but I’ve never tried that. If you want to see the entire desktop remotely, I’d recommend VNC instead, but be careful with security. Thank you so much for this article. It saved me a lot of time. Oracle blows. Its got to be the only incompetent product that requires a UI for it install instead of dropping to CUI when a display is not detected. lame. I have xterm showing up but when I run the my installer, not the Oracle installer, it keeps telling me that I need X windows to run the installer. I’m not sure whats going on. Again xterm shows up and xclock shows up but when trying to install apps it won’t show up. Please advise. It sounds like the Oracle installer you are using requires an additional package. I can’t say what that is, but a few ideas. 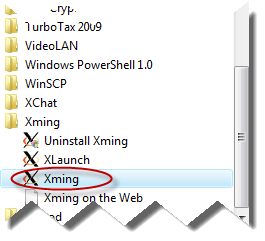 1) Run the installer from an XTerm window with verbose logging turned on if the installer supports it. Watch the output for a specific library that’s missing, then install that via yum. by keeping in mind future elements that might come along the way. Simplicity tops the majority of the existing logo design designs. Clearly explained each and every step, Thanks for sharing this info.